Location was great. The apartment was very clean and the kitchen was great. We absolutely loved the neighborhood! Everything you need is very close: underground, bakery, restaurants, grocery. The location could not have been better. 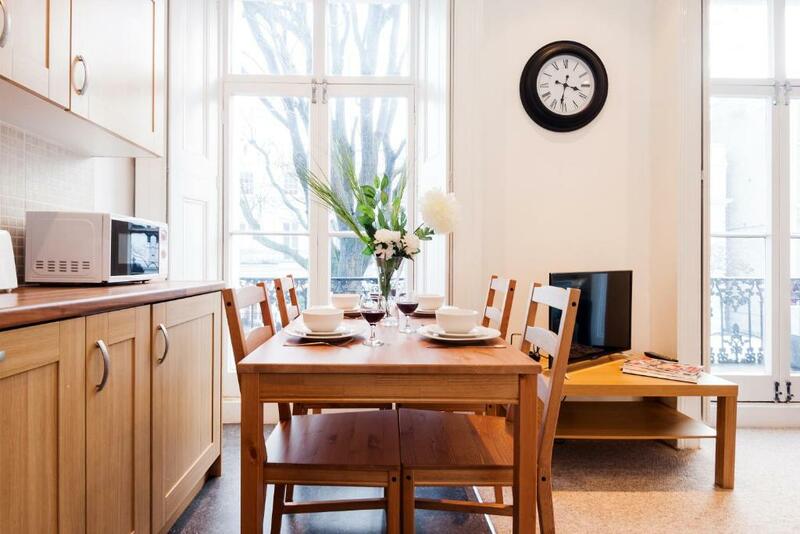 1 minute to the South Kensington tube station - a 35 minute journey from Heathrow. Coffee shops, restaurants and museums on our doorstep. a busy area but being on a pedestrian street mean it is quiet. 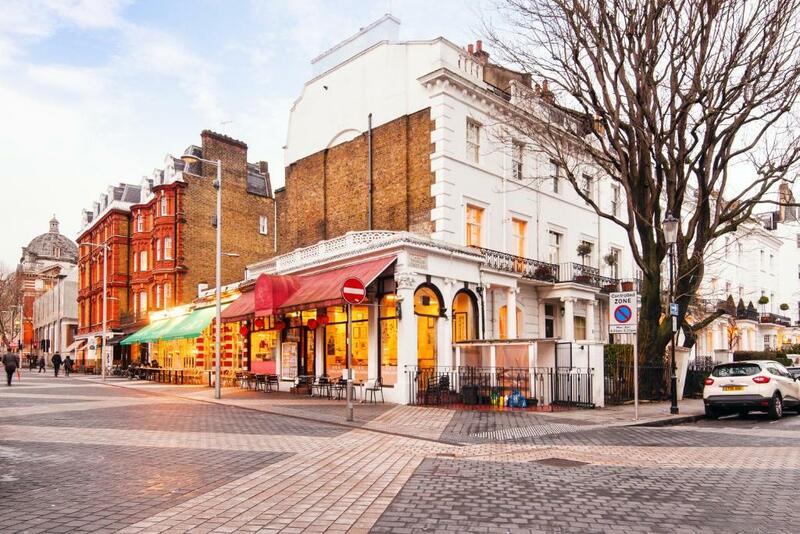 The flat is in great location to the South Kensington station 1min walk. The space was very clean and I loved the balcony area. Richard was great communicating with me and was very helpful pointing out amenities in the local area. Richard was a great host and I would recommend staying at his flat. The location was perfect ! The underground was on the corner of the road. Restaurants and shops just a few meters away. The appartement was cosy. It's only 50m2 but it was perfect for us 5 girls. Very comfy sofabed! It was great having a washing machine. Fantastic location and helpful staff. excelent location, just one minute away from underground station. The location was fantastic not only for the tube but for restaurants etc. Couldn't of got a better place. The owner / agent was very adaptable and worked around our arrival. Would definitely recommend. Location was very central and convenient. The apartment is bright and clean and has everything you need for a short stay. 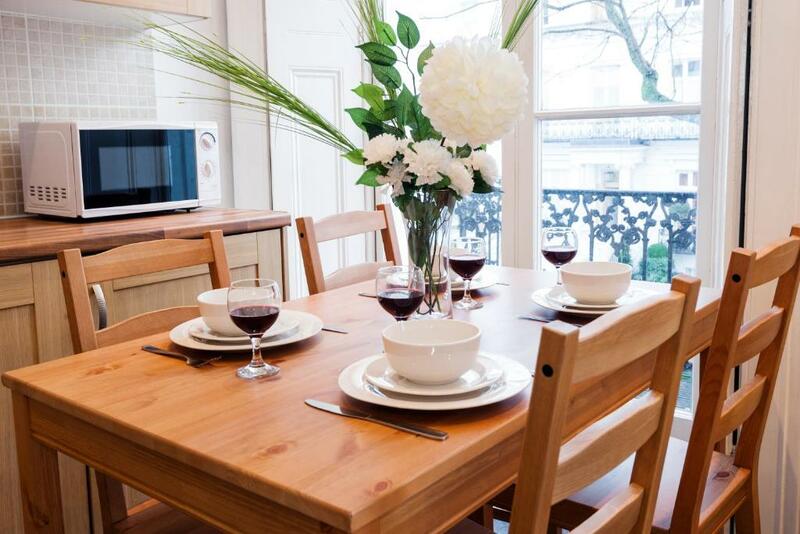 Lock in a great price for Dream South Kensington Apartment – rated 8.2 by recent guests! Dream South Kensington Apartment This rating is a reflection of how the property compares to the industry standard when it comes to price, facilities and services available. It's based on a self-evaluation by the property. Use this rating to help choose your stay! 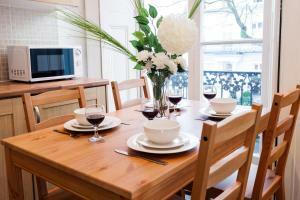 Luxury South Kensington Apartment offers accommodations in London, just half a mile from Harrods. Luxury South Kensington Apartment features views of the city and is half a mile from Royal Albert Hall. The kitchen has a dishwasher and an oven, as well as a coffee machine and a kettle. A flat-screen TV is available. There is a private bathroom with a bathtub. 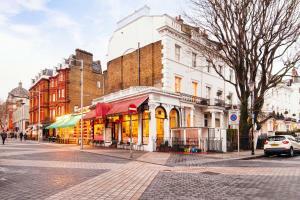 Hyde Park is 0.9 miles from Luxury South Kensington Apartment, and Stamford Bridge is 1.2 miles from the property. The nearest airport is London City Airport, 9 miles from the property. 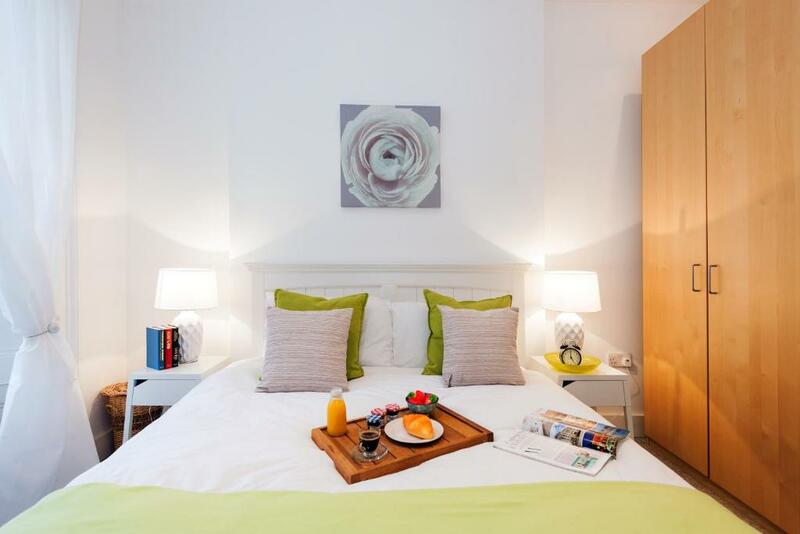 When would you like to stay at Dream South Kensington Apartment? This apartment has a seating area, electric kettle and dining area. This ground floor apartment contains a lovely bedroom, open plan living room with sofa bed and a modern bathroom. The kitchen is fully equipped with amenities. You will be met upon arrival and shown around the flat. We offer an hour check in slot so we will ask your preferred check in time. 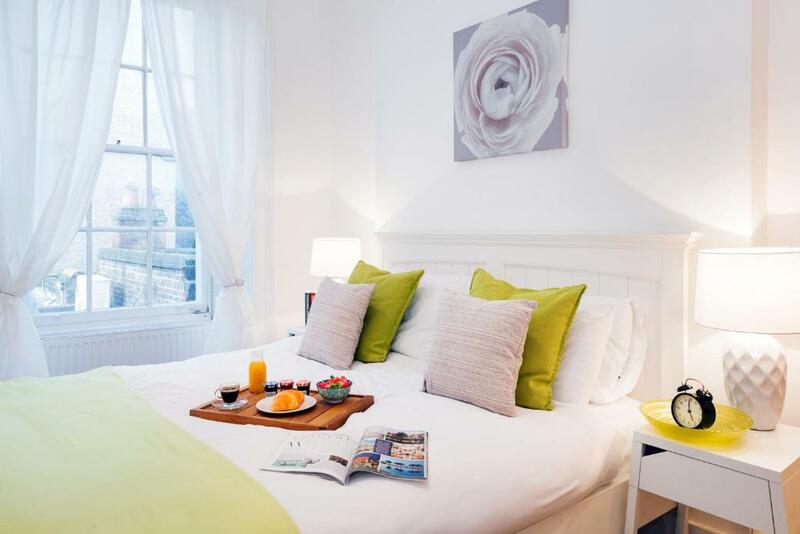 This place is a great choice for your holiday or business trip and I love hosting and seeing the joy of people visiting London and being so well located to get the best out of the UK capital by being so centrally located. I love to travel so really try to ensure your stay is as comfortable as possible. Please do inform me on the number of people that will be arriving at the apartment (adults/children) in order to make the necessary bed arrangements and the full names of the guests staying with you (if any) – I will need them for my records. If you also provide me with an alternative mobile telephone number, this will help me contact you in case your battery runs low, lack of coverage and signal, or an emergency. Thank you! My apartment is perfectly located within walking distance to Hyde Park, the Natural History Museum, the Science Museum, the V&A Museum, and Harrods. It is also a short walk (5 mins) to the London Hop on Hop Off Bus Rides. Our guests find it great to be able to beat the queues to the museums and simply return home for a rest (5 mins walk). The tube is 2 mins walk and provides great access to the rest of London as well as direct access to Heathrow airport. Equally, buses are fantastic in this part of London. There are lovely cafes and restaurants and traditional British pubs nearby. We are happy to provide you with recommendations. If you are travelling on business, then it's very easy access to all parts of London and London Olympia is very close by for visitors and exhibitors alike. House Rules Dream South Kensington Apartment takes special requests – add in the next step! Dream South Kensington Apartment accepts these cards and reserves the right to temporarily hold an amount prior to arrival. Please inform Dream South Kensington Apartment of your expected arrival time in advance. You can use the Special Requests box when booking, or contact the property directly using the contact details in your confirmation. Please note that check-in and key collection take place at: Kenway road, london sw5 0rd. Would be better if the wifi password was available in the apartment upon arrival. Towels were threadbare. No bin liners, dishwasher powder, or chopping board. Only 2 rolls of toilet paper. Bed needs updating. Close to Tube. In a nice location. A small thing which didn't impact holiday but the bath towels were tiny! Cleaner was still cleaning one hour after checkin. Master bed squeaked when you simply moved. Fold out bed broken. Shower didn’t drain away. Washing machine located outside unit. Couldn’t open fridge as bed blocked it. Second bedroom shared with kitchen and dining room. Bathroom in need of update especially shower. The property needs some repairs, shower was leaky, carpeting old, main entry door lock did not function properly. Location, roomy, bathroom was clean! Location great, facilities tired and not up to the luxurious billing.